For me this film doesn’t work for completely the opposite reason that another film by this director, Ice Poison, didn’t work. Whereas Ice Poison is centred around the rather hackneyed trope of “young man led astray by damaged young girl”, this film is rather unclear in its voice and direction. The film is underlaid with a pseudo-neo-colonial gaze, as much of it is pure exposition aimed at a Taiwanese audience, what people earn in relation to wages in Taiwan, what the different smuggled Chinese imports cost etc. This is not an unworthy goal, given that South East Asian workers are reported to have faced substantial discrimination and exploitation when employed in Taiwan and China, but I’m not sure if this makes the film interesting beyond its Taiwanese context. Otherwise the kind of poverty that they suffer, although awful, is rather unexceptional: the struggle to find work and support oneself and one’s family. Not much happens in the film and I felt that, although the director might be aspiring to capture the fatalistic outlook of the characters in Hou Hsiao-hsien’s films in the face of tragedy, the tragedies seemed too distant from the core of the film to give the impassivity of the protagonist any gravity in contrast. We hear his sister was kidnapped and forced to marry an older Chinese man, but she’s resigned herself to her circumstances and is wealthier than the rest of her family now, with two kids that she loves (interestingly Ice Poison shows us a woman who makes a different choice, in that she runs away from her husband in China and, long story short, she ends up in jail for drug-dealing (moral lesson: stay with your kidnapper?)). While I might criticize that sentiment, it underlines the desperate poverty of many of the people featured in his films. It’s also a common trope in the Chinese anti-modernist tradition, in which writers like Shen Cong-wen suggested that though tradition might seem overly exploitative or repressive of a certain group or class (i.e. women), the discretionary power inherent in traditional social relations tended to mitigate this harshness in everyday practice and that “modernity” could actually be more repressive in its lack of this discretionary power (see his short story 〈蕭蕭〉). There is no real exploration of the political state of Myanmar (Burma) in the film (it occurs in the run-up to substantial political change) and the regime is largely invisible, other than the rather amusing pro-government songs that play, praising the new congress and a vague reference to strict anti-smuggling measures. This in a way reinforces the neo-colonial idea that the film is aimed solely at creating “Taiwanese guilt” for the way they take advantage of this poverty, which, although it may have some merit, doesn’t do anything to address any of the domestic causes of this poverty. Nor is there any exploration of the ethnic conflicts that have surfaced in the country over the last decades. This means that the telling of this story of poverty is so universal, that it would have had to take a more interesting narrative line or adopted a more interesting technique to keep it from being a rather monotonous retelling of what we’ve all heard before. I almost feel that Ice Poison was an attempt at breaking from this monotony by staging a romance, it’s just a pity that it felt so… staged. OK, so I’ll start with the positives, this is not the worst film on the Mazu procession that I’ve ever seen, but that’s mostly because I had to trawl through the NTU vault of Taiwanese documentaries to write a review every week for my professor. The film makes a good (albeit an unquestioning and superficial) attempt at explaining what’s going on formalistically during the pilgrimage, which sets out from the north of Taiwan over 9 days, bringing Mazu, the sea goddess from her home temple to tour the island before returning home, followed by pilgrims hoping to get her blessing by carrying flags which they get blessed at every stop along the way. 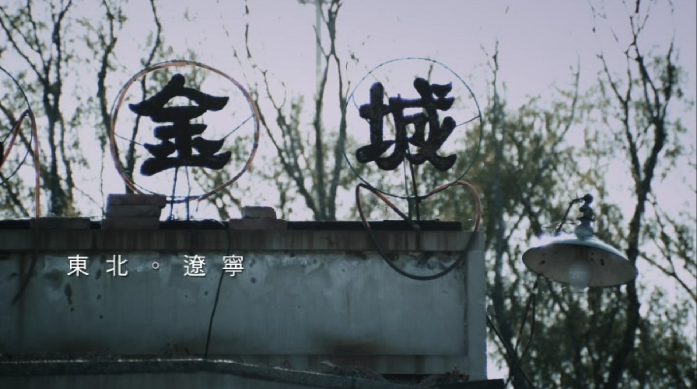 The film also made an attempt to explain why people were providing food and the different ways in which people participate in the pilgrimage, which already beats out the shaky student films that don’t even put Chinese subtitles, with only a brief, rather smug voiceover telling you the name of each bit in Taiwanese, but no explanation offered as to what it actually represents. You soon realize that this film was made with a specific purpose, however, and that purpose is encapsulated well at the end when the indefatigably cheerful presenter Richie Jen (a Mandopop star and actor, who finishes almost every sentence in the film with an 喔!/wo! a 加油!/jiayou! or a 辛苦啦!/sin-khó͘la!) sings a song which is as about as subtle as China’s foreign ministry: he changes the lyrics of his previous saccharine hit 〈對面的女孩看過來〉 (Look over here, girl [opposite]), to 〈對面的觀眾看過來〉(Look over here, audience [opposite]) into a marketing ploy packaging the Mazu procession for tourists from what I’m guessing he means by 「對面的觀眾」(the audience opposite), could it be… on the other side of the strait? (shock horror! Quick! Take siege to the theaters! ).